This marathon ran along the road shoulder in the city of Nongkhai province which not much interesting the runners. It seems the Start/Finish was at Nongkai. Did the run go into Laos? The time I took part the Finish was at Vientienne. Yes, this time the Start/Finish was in Nongkhai and the course didn't go in Laos at all, not much attractive course so less than a 100 runners took part full marathon. The year that finish in Vientiane, I also joined, it's very scenic course, really attract me lah. I always feel sad for the organisers when not many take part. 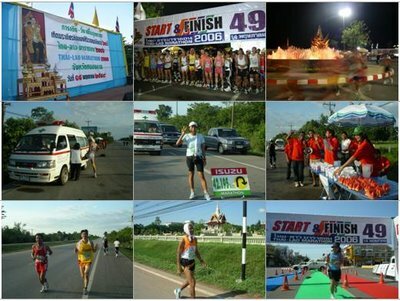 I think one of the reasons for the small number of runners was the late confirmation of the run and also many people (including myself) already arranged to go to Hua Hin a week earlier. Also, maybe a few like me also going to the Pacesetters 15k this week. any idea if this will happen again? I live in Vientiane and there's a bunch of us who would do this. 男性下着 のことならプロパガンダ。他にも男性下着 、ビキニ、男性下着 、トランクスからセクシー系まで男性下着 のことならお任せください。"男性下着 のことならプロパガンダ。他にも男性下着 、ビキニ、男性下着 、トランクスからセクシー系まで男性下着 のことならお任せください。"男性下着 のことならプロパガンダ。他にも男性下着 、ビキニ、男性下着 、トランクスからセクシー系まで男性下着 のことならお任せください。"